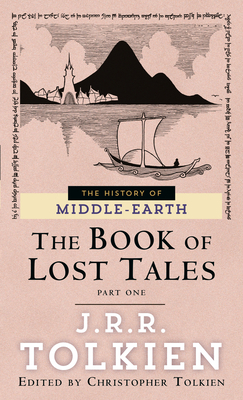 The Book of Lost Tales stands at the beginning of the entire conception of Middle-earth and Valinor. Embedded in English legend and English association, they were set in the narrative frame of a great westward voyage over the Ocean by a mariner named Eriol (or Ælfwine) to Tol Eressëa, the Lonely Isle, where Elves dwelt; from them he learned their true history, the Lost Tales of Elfinesse. In the Tales are found the earliest accounts and original ideas of Gods and Elves; Dwarves and Orcs; the Silmarils and the Two Trees of Valinor; Nargothrond and Gondolin; and the geography and cosmology of the invented world.